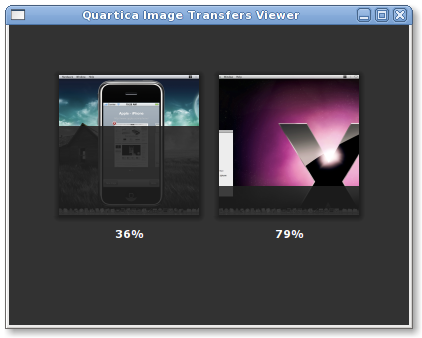 Today a new Qt4 Effect developed for Quartica File Transfers View. The main idea is to remove the unuseful progressbar from Downloading Images and replace it with something more intuitive. In this way, you can see the full image and the current completed part. And now a Very Low quality video that demonstrate how it works (please, wait 7 seconds before going away).